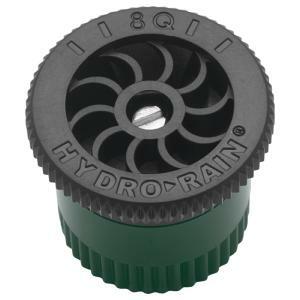 Hydro-Rain HRN 100 Series Sprinkler Nozzles are the industry’s high tolerance, high precision, fixed arc nozzle. No giving up on quality or functionality for simplicity with the HRN nozzles. The HRN nozzles are easily identified with radius/pattern noted on the top. The coin edge tops make for easy gripping even in wet conditions making installation a breeze.